For seven years straight I’ve been escaping the Nova Scotian winters to come to Thailand using Chiang Mai as my anchor or base. Why Chiang Mai and not one of the many beautiful islands in this diverse country? Well, of course the warm and sometimes very hot climate is one reason, then there is the culture and the friendly people, but I have to admit another plus is the fantastic markets here and you know what that can lead to? Yes, it means lots of SHOPPING! Since I’ve retired from full-time work, I am always on the look out for projects that are not only fun, but will make me a little extra income. 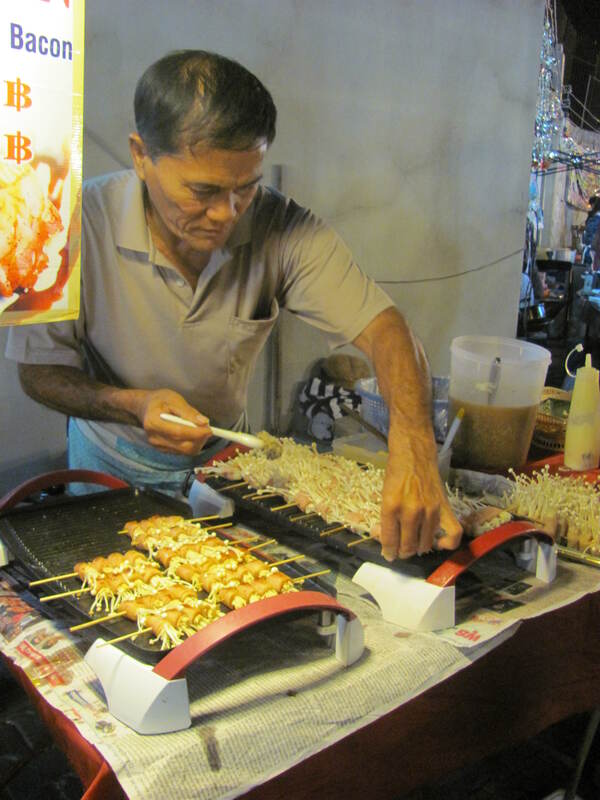 After my second visit to Chiang Mai, I decided to use some of the experience I gained many years ago as a business owner in retail. 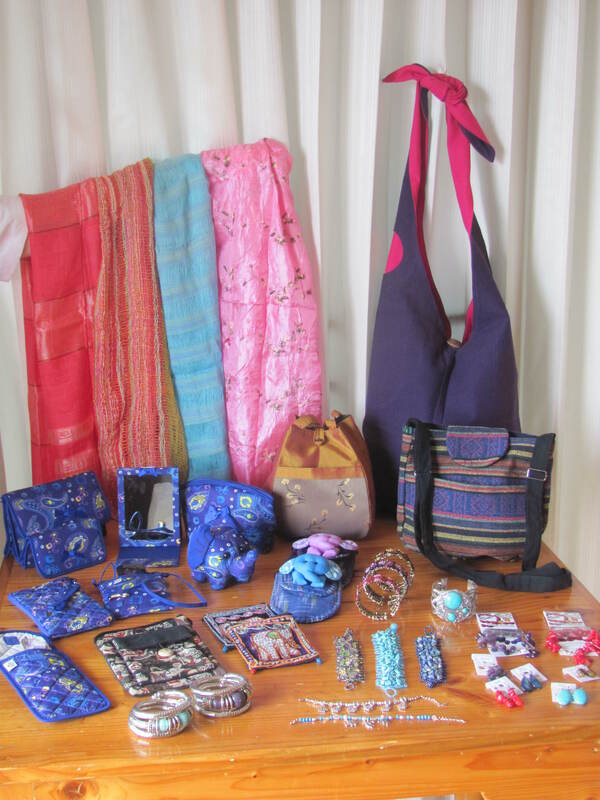 Since I love buying and have a fairly good eye for colour and display along with a pretty good sense of what people like to spend their money on, I realized I had to seize the opportunity to bring home some of the beautiful bags, scarves, and jewellery I was seeing in Thailand. Hence, my little import business was born. Although every year I travel to at least one other country somewhere in SE Asia, I always manage to do most of my buying while I am in Chiang Mai because there are so many markets in this city which just keep growing more and bigger each year. When I first came seven years ago, there was the Sunday Walking Market and the Night Bazaar which were the main venues. Then along came a Saturday Walking Market to rival the Sunday one and now there is the Arnusan Market right next door to the Night Bazaar. Interspersed with all these are numerous street vendors and stores selling their products not only to tourists but to buyers like me looking for wholesale prices. The old idea of driving a hard bargain for all it’s worth is slowly disappearing which makes it easier for both the buyer and the seller. There will always be those who like nothing more than to beat a person down to the lowest price ever who will no doubt miss the thrill of it all, but not me. There are simply too many people dependent on our business trying to make a living and supporting their families in an economy which at the present time is booming but at the same time causing a hefty rise in their cost of living. Many of them need to receive a fair price for not only their beautiful handiwork, but also their incredibly hard work. 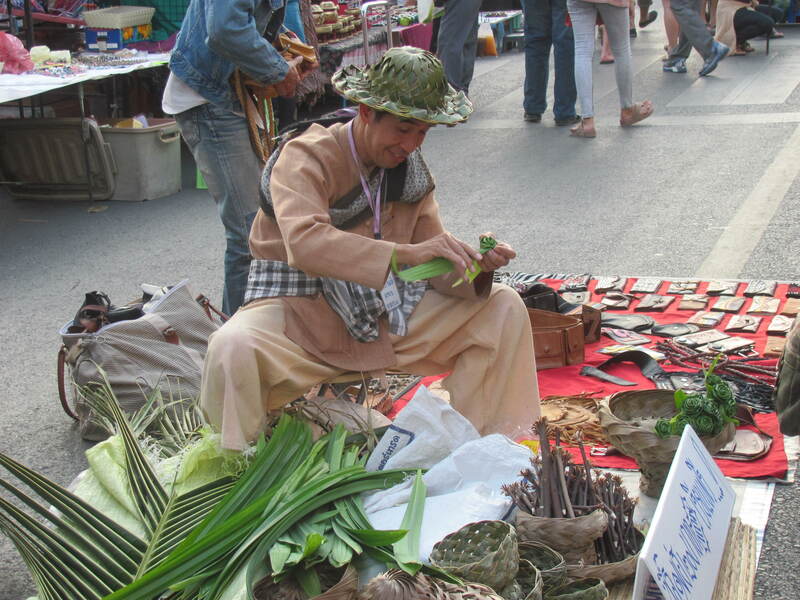 Chiang Mai is undoubtedly a buyer’s delight often making the choice of what to buy somewhat daunting. However, my efforts are paying off, and I have found some exciting stuff which some of the following photos will reveal. Have a look and just maybe some of you will be lured into coming to see more at the Mason’s Hall where I will again be located in Annapolis Royal at the Farmer’s Market. One of many food vendors. Yummy food. 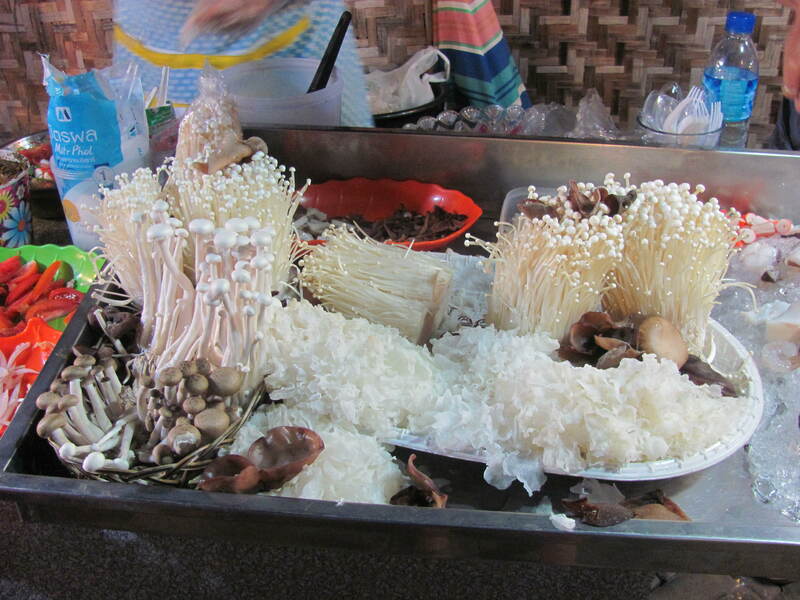 These are mushrooms! 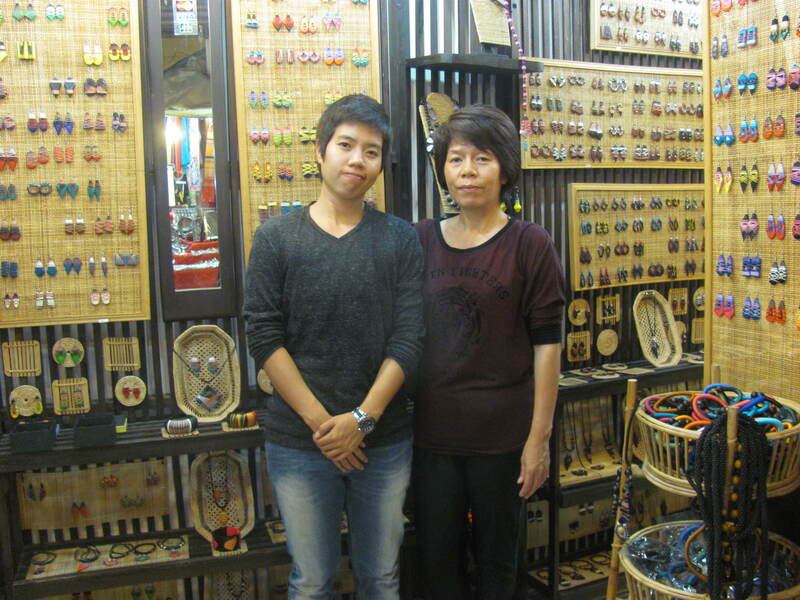 Designers of wood earrings. I sell lots of these. 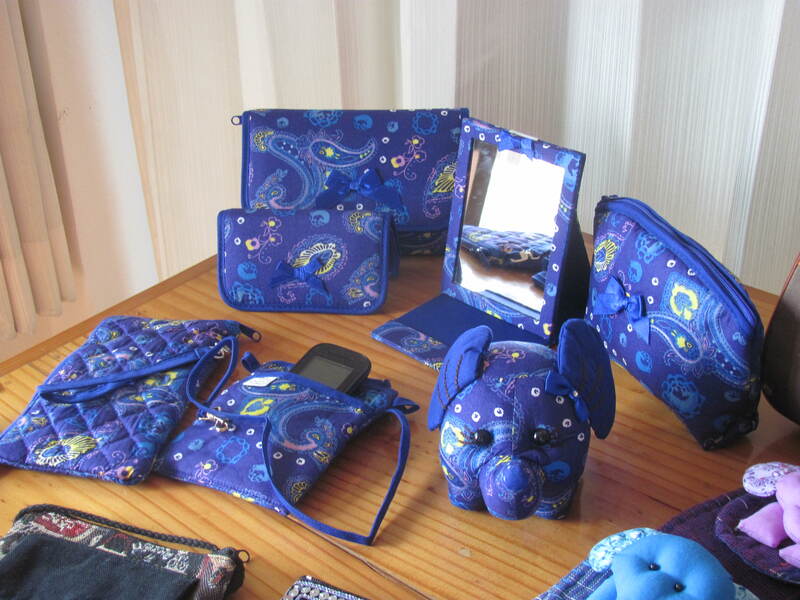 New bags, scarves, and jewellery. Beautiful Na Ra Ya merchandise. 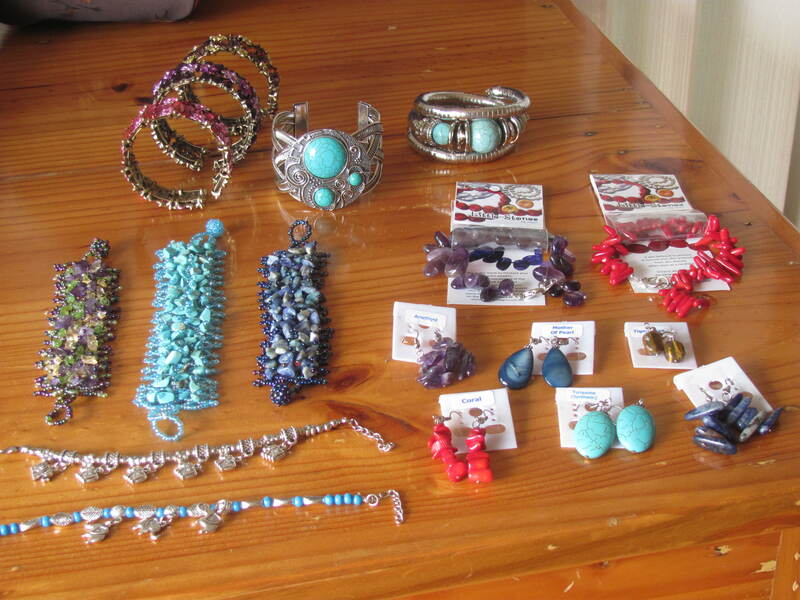 Lots of fancy and really ‘cheap’ jewellery. Note the large, chunky bracelets! A family affair – makers of bags I bought. I think Luang Prabang, Laos should be on your next shopping trip list. I find the shopping here irresitable … The Keith Haring-esque bags by the Hmong people, Hmong pillowcases and bedspreads, silk and cotton scarves woven locally from Luang Prabang, Vientiene and Thai silks, cloth kids books in English and Lao, kids’ clothes, jewellery made from metal recycled from American bombs …. I’ve just discovered a little shop called Ma Té Se which has stuff produced all over Laos (the owner goes to the villages to buy, so women can stay with their families). Sounds like another shopper’s haven. Maybe next year after seeing what Cambodia has to offer. It is difficult to resist buying another suitcase isn’t it? Thanks for reading my blog and your comments. I shall be forever indebted to you for getting me up and going.